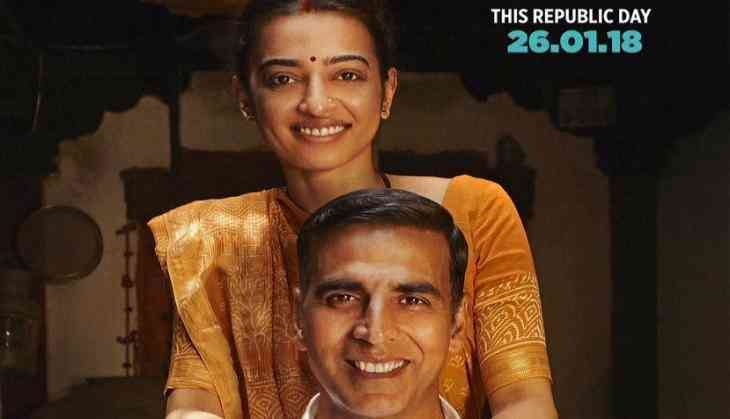 Bollywood superstar Akshay Kumar has shared the new poster of his upcoming movie PadMan featuring himself and Radhika Apte as his wife. The film is a story based on the real incident related to person Arunachalam Murugunatham, who is responsible for the awareness of menstrual, sanitary pads in the rural areas. He also designed a personal machine for retrieving Pad at very low cost. The film is supposed to hit the screens on 26th January 2017. The makers already have started the promotions of the film and they have released many stills of the film till now. Now according to latest news development, the trailer for the film is also coming out soon. Recently when the Akshay shared the poster of the film so he captioned it that his wife even asking for when the trailer for the film is coming out. Now once close source related to the team has told that the trailer is coming out on 25th December or 26th December just a month before its release date. The film has Akshay Kumar, Sonam Kapoor, Radhika Apte in leading roles and it also has Amitabh Bachchan's special appearance. The film was directed by R. Balki whose last directed film Ki and Ka was also a socially oriented message film. The film is also going to clash with Akshay's close friend Neeraj Pandey's film Aiyaari starring Sidharth Malhotra and Manoj Bajpai.